Homeowners looking to sell typically have two ways to find a buyer for their home. Selling at auction is a popular method that drives competition. However, selling by private treaty is one of the most common ways to sell a home in Australia. Learn more about how a private treaty sale works to see if it’s right for you. How Does Selling by Private Treaty Work? A private treaty sale occurs when a seller or agent lists a property for sale at a set price. Buyers then put in offers and the seller or agent negotiates to secure the deal. It is essential to set a price in line with fair market value and your own expectations. This is because potential buyers do not usually put in offers higher than the set asking price. Rather, potential buyers usually negotiate down, so it’s a good idea to set the price high enough to allow for negotiation. Harcourts Coastal has produced a short informative video on why you might want to go with a private treaty sale over other sale methods. The main difference between private treaty and auction is the element of competition. At auction, a seller sets a reserve price, which is the minimum they will accept. Potential buyers then bid against one another to purchase the home. This can often drive the price up. However, some sellers find their reserve is too high and don’t secure a sale. The other difference is that no cooling off period exists for sales at auction. Anyone planning to buy at auction must make sure the contract is reviewed by their conveyancer before auction day. Contracts can be negotiated right up until auction day but are immediately binding once the winning bid is accepted. The seller or agent lists the property for sale at a predetermined price. Buyers make offers on the property. The seller or agent negotiates with buyers for the right price and contract conditions. The seller and buyer agree on the price and contract conditions. Contracts are exchanged and reviewed by conveyancers or solicitors. The seller and buyer sign the contracts. The buyer pays a deposit. The cooling off period begins. The cooling off period ends and contract is binding. If the buyer decides to cancel the contract within the cooling off period, they forfeit a percentage of their deposit. Private sale laws and regulations differ by state and are explored in more detail below. Majors differences between state and territory private sale laws include differences between cooling off periods and cancellation fees. Table 1 below shows the varying cooling off periods and cancellation fees by state. Tasmania has only recently introduced the 3-day voluntary cooling off period and previously had none. You can find more information about laws and regulations in your state below. NOTE: In all Australian states, cooling off periods can be waived and do not generally apply to sellers. A contract of sale must be prepared before the property is listed for sale. If the contract does not include all required attachments, the buyer can cancel the contract within 14 days of signing. Potential buyers must pay the deposit at exchange of contracts. Real estate agents must give signed contracts to both parties within 2 business days. Stronger laws now apply against underquoting. This refers to advertising prices that are less than what the seller will accept. Sellers or agents must provide a due diligence checklist to potential buyers at open houses. This ensures buyers can make themselves aware of any issues with the property. Interested parties sign a contract of sale to put forward an offer. Potential buyers pay a full or partial deposit at the time of offer. GST applies when purchasing a new home. Established homes are exempt. Advertising prices listed as ‘offers over’ must state the minimum price the seller is willing to accept. Prices listed under this are considered bait advertising, which is an offence carrying high penalties. Potential buyers can make offers verbally or in writing. Agents will then formalise the offer using a contract of sale, which potential buyers need to sign. Potential buyers pay the deposit after the cooling off period is over. All sale contracts must include a warning statement directly above the signature section. The cooling off period does not apply if the buyer was a registered bidder at a failed auction within 2 days prior. The normal cooling off period ends at 5 pm on the last day. Potential buyers put in an offer via a signed sale contract. This becomes binding if the seller signs it. Potential buyers should include a contract expiry condition in the sale contract. Potential buyers pay the deposit when submitting the offer. The cooling off period begins after both parties sign the sale contract or the buyer receives the vendor’s statement. Whichever occurs later determines the beginning of the cooling off period. Offers are made using two forms: either the Contract for Sale of Land and General Conditions or the Strata Title by O & A and the General Conditions. Buyer beware applies, as sellers are not required to fully disclose potential issues with the property. However, agents must inform buyers of any issues they are reasonably expected to know. Buyers can choose their own settlement agent or may settle the property themselves. Counter offers are done in writing by amending the O & A. This only becomes binding when the final price and conditions are agreed by both parties. Buyers must lodge the O & A within a set time to avoid penalties. Accepted offers are not binding. Until contracts are exchanged, sellers can accept an offer from another interested party. All sale contracts must have all required documentation attached. Advertised prices must be in line with what the seller will actually accept. Cooling off periods can only be waived or changed with a signed certificate from a seller. Offers are made through the real estate agent or directly to the seller. Offers should be in writing, e.g., an email. Agents will usually transfer offers to a contract of sale and present to potential buyers to sign. Sellers can later ignore verbally accepted offers. This can occur even when the potential buyer has paid for services to purchase the property. Potential buyers should conduct all necessary research and inspections to ensure no issues exist with the property. 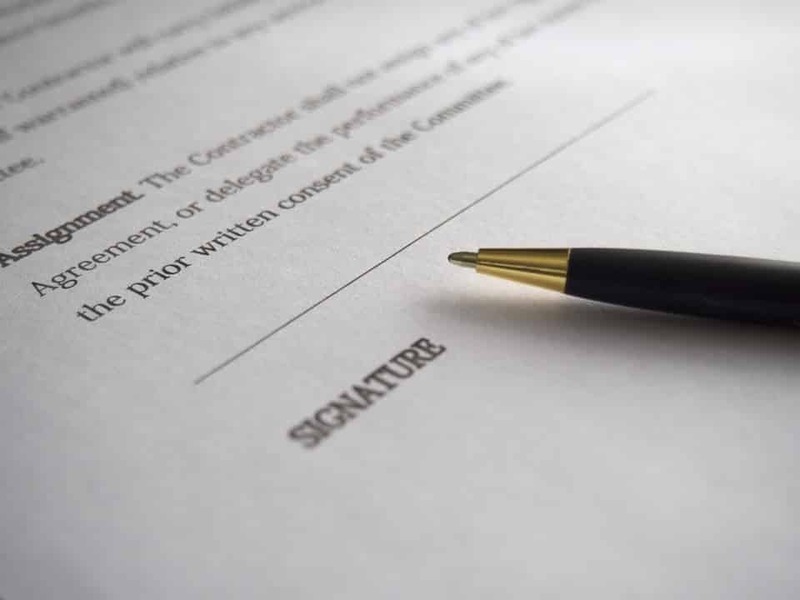 Current legislation emphasises buyer beware when entering into a real estate contract. Sellers are not legally required to fully disclose known problems with the property. There is a new voluntary cooling off period of three days. However, if both parties choose not to use it, no cooling off period applies. Potential buyers make an offer by signing a contract, which includes the standard conditions of sale and the particulars of sale. Potential buyers usually notice when listings become stale. To refresh your add, try reordering photos or taking new ones. Updating your description will also help revitalise your listing and encourage potential buyers to attend an open house. If you’re not sure how your listing can be improved, have a friend or family member take a look. A fresh pair of eyes can make all the difference. Consider whether the price you have your heart set on is too high. If so, reduce the price to meet market expectations. Your price may originally have been fair, but the market could have changed since you listed your property. This could now mean your price is too high and needs reevaluating. After three months without a sale, it can pay to remove your listing for a few months. When you relist, potential buyers will likely see it as a fresh, new listing and be more inclined to attend your open house. If you haven’t done anything to stage your property, now is a good time to remedy that. Have your agent or friends and family do a walk-through and give you tips on what could be improved. You may need to focus on decluttering, cleaning, optimal furniture placement or adding accessories with wow factor. Whatever is lacking will be affecting your advertising strategy, so it will pay to make improvements. If you have already invested time in staging, it might be time to shake it up and try something new. If you need ideas on what you can do to catch the eye of potential buyers, try visiting similar properties. Other sellers are also trying to get a sale and their efforts may give you some great ideas. Private treaty gives the seller more control over the sale. Listing a property at the wrong price can lose potential sales. Finding the right price needs research and can often involve trial and error. Sellers will have more time to consider offers from potential buyers, which helps avoid hasty decisions. Setting a price that is too low may mean sellers miss out on potential return on their investment. Sellers have more flexibility when they are not in a rush to sell. They can extend their sale deadline indefinitely, which removes any pressure. Fluctuating listing prices usually put potential buyers off. If the price is reduced, it may look like you are desperate to sell. If it’s reduced too many times, potential buyers may think there is a fault with the property. Potential buyers are not aware of what other interested parties are offering. This encourages them to put in their best offer. Cooling off periods only apply to private sales. This means your buyer could back out at the last minute. Despite the lack of competition, private sales can be much faster than sale at auction. Auction campaigns can last upwards of four weeks. In contrast, a potential buyer can put in an offer immediately after a property is listed for private sale. Without the element of competition, property listings may become stale and potential buyers may disregard the property. This means that private sales can also be much slower than auctions. Fast private sales can be cheaper because sellers avoid auctioneer costs. If your home takes some time to sell, frequent inspections can disrupt your life and become quite inconvenient. If you’re looking to sell, consider whether private treaty will bring you the advantages you’re looking for. A trusted real estate agent can help you to make the right choice for you by discussing all possible options. They have industry experience behind them and can offer expertise that may help bring you the best price in the best time frame. If you’re still looking for a quality real estate agent you can trust, comparing those in your local area is a great first step. Our free comparison service is quick and easy to use and will provide you with a list of suitable agents to interview. Ask the experts and get your property marketed the right way from the start.